Jessica Kersten began her career more than 20 years ago as an art director at a Dutch advertising agency called Y&R. She then moved on to the start-up Only & after this she moved to DDB Amsterdam where she mainly worked on their international business. She worked together with many of their other offices around the world like DDB Singapore, Denmark, London and NY. (2001-2013). She developed there international campaigns for the Philips like the successful ‘things to do your thing’ & ‘Aurea,’ that was featured in Vogue’s September issue and a short film shot by Wong Kar Wai. She worked for brands like Unilever, Philips, Mexx, C&A, amongst many others. After this she co-founded her creative studio called Cloudfactory. 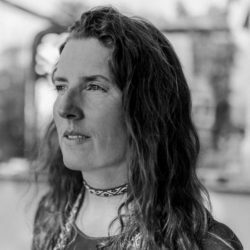 Here she creates urban orchards, robots, feminine feminists, d-i-y job inerviews, pockets sized worlds, wonderfull secret gardens, cider dens, genies in a bottle, secret societies, travel documantaries, and occasionally some ads. 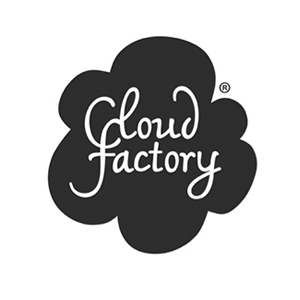 Cloudfactory has 3 partners of which 2 are creative women. Jessica Kersten and Sandrine Huijgen are the creative lead of the studio. Here they work for brands like Strongbow, Heineken, Booking.com, adidas, Apple Bandit and many other clients and art projects. We believe in co-creativity with our clients. Yes, you heard me, clients, misunderstood species. They’re the biggest experts on their brands after all and can be of great help in finding the creative solution. We also love inviting craftsmen early in the creative process. Why give a film director a signed off storyboard when she or he can input as soon as we have an idea? Why not invite a photographer to the creative table when the execution of the idea hasn’t been shaped yet? Because we work this way, we don’t pitch. These are just a few examples how we’ve developed a very different way of working compared to the bigger traditional agencies. Having your own agency allows you to reïnvent everything and work the way works best for you. I love being an owner of Cloudfactory!